#087: Today I had the pleasure of talking with Jeff Sekinger, Kickstart Consult Founder and credit building expert. Jeff was on Young Smart Money for the first time in January when he was on episode #037 and is the first guest to make a second appearance on the show. In this episode, Jeff discusses how he went from earning $5000 to $100,000 per month in only 6 months, and the exact business model that he utilized to do it. By the end of this episode you will have a step-by-step blueprint you can utilize in order to quickly grow and expand your business so that you can both earn more and impact even more people. Enjoy! Follow Jeff on Instagram -- @jeffsekinger Jeff's website -- jeffsekinger.com If you have ever thought about buying an online course, check out The Online Course Examiner (www.OnlineCourseExaminer.com) “The Yelp of online courses!” Want to learn how to start your own SMMA? I created a free training to get you started! -->www.go.AppleCrider.com/smm Follow me on Instagram --> www.Instagram.com/applecriderofficial For 250+ videos subscribe to my YouTube channel --> YouTube.com/AppleCrider P.S. I have an Alexa Skill! Look up Apple Crider on the Alexa Store! P.P.S Don't forget to subscribe and leave a 5-star review if you enjoyed the show! #086: Today I had the pleasure of talking with Cristy Code Red, nutrition influencer and leader of the Code Red Movement. In this episode, Cristy discusses how to build a loyal and dedicated audience for your business or personal brand, and how she was able to translate that into a multiple 7 figure company. By the end of this episode you will have a step-by-step game plan to create an extremely dedicated following and grow a massively impactful lifestyle brand. Enjoy! Follow Cristy on Instagram -- @cristycodered Find Code Red on the Internet -- www.coderedlifestyle.com If you have ever thought about buying an online course, check out The Online Course Examiner (www.OnlineCourseExaminer.com) “The Yelp of online courses!” Want to learn how to start your own SMMA? I created a free training to get you started! -->www.go.AppleCrider.com/smm Follow me on Instagram --> www.Instagram.com/applecriderofficial For 250+ videos subscribe to my YouTube channel --> YouTube.com/AppleCrider P.S. I have an Alexa Skill! Look up Apple Crider on the Alexa Store! P.P.S Don't forget to subscribe and leave a 5-star review if you enjoyed the show! #085: Today I had the pleasure of talking with Sirah, a Grammy-award-winning rapper and celebrity life coach. In this episode, Sirah discusses her experience coming from a tough background including dropping out of the 4th grade and getting kidnapped at a young age, and how these experiences led her to the becoming a rapper and getting to the places where she is now. By the end of this episode you will have a step-by-step strategy to implement when the going gets tough and how you can use these times as fuel to your fire instead of letting it hold you back. Enjoy! Follow Sirah on Instagram -- @sirahsays Find Sirah on Twitter -- @sirah If you have ever thought about buying an online course, check out The Online Course Examiner (www.OnlineCourseExaminer.com) “The Yelp of online courses!” Want to learn how to start your own SMMA? I created a free training to get you started! -->www.go.AppleCrider.com/smm Follow me on Instagram --> www.Instagram.com/applecriderofficial For 250+ videos subscribe to my YouTube channel --> YouTube.com/AppleCrider P.S. I have an Alexa Skill! Look up Apple Crider on the Alexa Store! P.P.S Don't forget to subscribe and leave a 5-star review if you enjoyed the show! #084: Today I had the pleasure of talking with 6 figure YouTube creator and expert side hustler Reyes The Entrepreneur. In this episode, Reyes discusses his story of being homeless to being able to build up a variety of online businesses and completely turn his life around in a relatively short amount of time. By the end of this episode you will have a step-by-step blueprint to start your own side hustle and create a successful YouTube channel. Enjoy! Follow Reyes on Instagram -- @reyestheentrepreneur Find Reyes on Youtube -- http://youtube.com/reyestheentrepreneur If you have ever thought about buying an online course, check out The Online Course Examiner (www.OnlineCourseExaminer.com) “The Yelp of online courses!” Want to learn how to start your own SMMA? I created a free training to get you started! -->www.go.AppleCrider.com/smm Follow me on Instagram --> www.Instagram.com/applecriderofficial For 250+ videos subscribe to my YouTube channel --> YouTube.com/AppleCrider P.S. I have an Alexa Skill! Look up Apple Crider on the Alexa Store! P.P.S Don't forget to subscribe and leave a 5-star review if you enjoyed the show! #083: Today I had the pleasure of talking with Ryan Mathews, a 17 year old high ticket dropshipping expert. In this episode, Ryan discusses how he was able to find massive success in high ticket dropshipping, and how he was able to make 6 figures in his first 4 months. By the end of this episode you will know exactly what it takes to start a high ticket dropshipping like Ryan Mathews, and start seeing massive success in all things dropshipping. Enjoy! Follow Ryan on Instagram -- @ryan.mathews If you have ever thought about buying an online course, check out The Online Course Examiner (www.OnlineCourseExaminer.com) “The Yelp of online courses!” Want to learn how to start your own SMMA? I created a free training to get you started! -->www.go.AppleCrider.com/smm Follow me on Instagram --> www.Instagram.com/applecriderofficial For 250+ videos subscribe to my YouTube channel --> YouTube.com/AppleCrider P.S. I have an Alexa Skill! Look up Apple Crider on the Alexa Store! P.P.S Don't forget to subscribe and leave a 5-star review if you enjoyed the show! #082: Today I had the pleasure of talking with Justin Saunders, CEO and Co-founder of LaunchMap, and creator of the Prospecting Like A Pro Course for agency owners. In this episode, Justin discusses how he was able to create a $10,000 per month social media agency in under 60 days and quickly scale beyond a six figure agency without any prior experience. By the end of this episode you will have a vast array of tools and strategies available to you to take advantage of in order to start and grow your SMMA in 2019. Enjoy! Follow Justin on Instagram -- @justinsaundersofficial If you have ever thought about buying an online course, check out The Online Course Examiner (www.OnlineCourseExaminer.com) “The Yelp of online courses!” Want to learn how to start your own SMMA? I created a free training to get you started! -->www.go.AppleCrider.com/smm Follow me on Instagram --> www.Instagram.com/applecriderofficial For 250+ videos subscribe to my YouTube channel --> YouTube.com/AppleCrider P.S. I have an Alexa Skill! Look up Apple Crider on the Alexa Store! P.P.S Don't forget to subscribe and leave a 5-star review if you enjoyed the show! #081: Today I had the pleasure of talking with Alex Sanfilippo, a digital marketer, public speaker, and business coach for entrepreneurs. Currently Alex is building a substantial community for entrepreneurs through his company Creating A Brand. In this episode, Alex discusses how he was able to go from working in the back of a warehouse store room to becoming a top executive of an aerospace company, how he was able to start multiple side businesses profitably by taking control of his time, and the importance of self reflection in building your business. By the end of this episode you will know how to effectively implement time management and self reflection to skyrocket your business's growth. Enjoy! Follow Alex on Instagram -- @ajsanfilippo Find Alex on YouTube -- www.creatingabrand.com If you have ever thought about buying an online course, check out The Online Course Examiner (www.OnlineCourseExaminer.com) “The Yelp of online courses!” Want to learn how to start your own SMMA? I created a free training to get you started! -->www.go.AppleCrider.com/smm Follow me on Instagram --> www.Instagram.com/applecriderofficial For 250+ videos subscribe to my YouTube channel --> YouTube.com/AppleCrider P.S. I have an Alexa Skill! Look up Apple Crider on the Alexa Store! P.P.S Don't forget to subscribe and leave a 5-star review if you enjoyed the show! #080: Today I had the pleasure of talking with Jeff Rose, Blogger, YouTube creator, and founder of the Wealth Hacker and Good Financial Cents brands. In this episode, Jeff discusses his 11 year blogging journey and how he was able to create a content marketing business before it was cool. Jeff also talks extensively on how to distance yourself from your business so that eventually you can remove yourself from the day-to-day operations and potentially sell it someday. By the end of this episode you will know what you will need to do in order to build a business that does not hinge on you and your constant involvement. Enjoy! Follow Jeff on Instagram/Twitter -- @jjeffrose Find Jeff on YouTube -- www.youtube.com/wealthhacker If you have ever thought about buying an online course, check out The Online Course Examiner (www.OnlineCourseExaminer.com) “The Yelp of online courses!” Want to learn how to start your own SMMA? I created a free training to get you started! -->www.go.AppleCrider.com/smm Follow me on Instagram --> www.Instagram.com/applecriderofficial For 250+ videos subscribe to my YouTube channel --> YouTube.com/AppleCrider P.S. I have an Alexa Skill! Look up Apple Crider on the Alexa Store! P.P.S Don't forget to subscribe and leave a 5-star review if you enjoyed the show! #079: Today I had the pleasure of talking with Naeem Al Obaidi, cryptocurrency trader, adviser to 7 blockchain startups, and the founder of Traders Profit Club a private group with over 25,000 students learning how to profitably trade crypto. In this episode, Naeem goes deep on cryptocurrency, blockchain and trading, and paints a very clear picture of the state of the cryptocurrency space in 2019. By the end of this episode you will know what it takes to get started trading crypto and the mindset you need in order to do so successfully. Enjoy! Follow Naeem on Instagram-- @naeem Follow Naeem on Twitter -- @naeemalobaidi If you have ever thought about buying an online course, check out The Online Course Examiner (www.OnlineCourseExaminer.com) “The Yelp of online courses!” Want to learn how to start your own SMMA? I created a free training to get you started! -->www.go.AppleCrider.com/smm Follow me on Instagram --> www.Instagram.com/applecriderofficial For 250+ videos subscribe to my YouTube channel --> YouTube.com/AppleCrider P.S. I have an Alexa Skill! Look up Apple Crider on the Alexa Store! P.P.S Don't forget to subscribe and leave a 5-star review if you enjoyed the show! #078: Today I had the pleasure of talking with Jon Espersen, a 20 year old 7 figure dropshipper. In this episode, Jon discusses his dropshipping tactics, what set himself apart from all of the other wannabe dropshippers, and how he was able to scale up to 7 figures so quickly . By the end of this episode you will have clarity on what you need be doing and where you need to be devoting your time if you want to see real success in dropshipping. Enjoy! Follow Jon on Instagram -- @jonespersen Find Jon on Twitter -- @JonEspersen If you have ever thought about buying an online course, check out The Online Course Examiner (www.OnlineCourseExaminer.com) “The Yelp of online courses!” Want to learn how to start your own SMMA? I created a free training to get you started! -->www.go.AppleCrider.com/smm Follow me on Instagram --> www.Instagram.com/applecriderofficial For 250+ videos subscribe to my YouTube channel --> YouTube.com/AppleCrider P.S. I have an Alexa Skill! Look up Apple Crider on the Alexa Store! P.P.S Don't forget to subscribe and leave a 5-star review if you enjoyed the show! #077: Today I had the pleasure of talking with Austin Lewis, a serial entrepreneur, social media marketer, and CEO of Alegacy Marketing a large Instagram growth agency. In this episode, Austin discusses the tactics and strategies that he has used to see massive success across multiple different business at a very young age from network marketing, to personal branding, to social media marketing. By the end of this episode you will know how to start your online business the right way and have an arsenal of expert social media strategies to take your business to the next level. Enjoy! Follow Austin on Instagram -- @theaustinlewis Find Austin on YouTube -- https://www.youtube.com/channel/UCB6MI-EAPJO0duJ5KU5SkHQ If you have ever thought about buying an online course, check out The Online Course Examiner (www.OnlineCourseExaminer.com) “The Yelp of online courses!” Want to learn how to start your own SMMA? I created a free training to get you started! -->www.go.AppleCrider.com/smm Follow me on Instagram --> www.Instagram.com/applecriderofficial For 250+ videos subscribe to my YouTube channel --> YouTube.com/AppleCrider P.S. I have an Alexa Skill! Look up Apple Crider on the Alexa Store! P.P.S Don't forget to subscribe and leave a 5-star review if you enjoyed the show! #076: Today I had the pleasure of talking with Tanner J Fox, Amazon FBA Seller who made a over a million dollars online last year. Tanner got started selling on Amazon when he was a teenager and in the last few years he has scaled his business massively and added in an online education business through which he has been able to generate hundreds of thousands of dollars. In this episode, Tanner discusses how to get started on Amazon FBA and how to most effectively expand your business into other business models like online education and content creation. By the end of this episode you will know what it takes to create a successful 7 figure online business and have the tools you need to take action and scale your business. Enjoy! Follow Tanner on Instagram -- @tannerjfox Find Tanner on YouTube -- https://www.youtube.com/user/MEZMORIZEFTW If you have ever thought about buying an online course, check out The Online Course Examiner (www.OnlineCourseExaminer.com) “The Yelp of online courses!” Want to learn how to start your own SMMA? I created a free training to get you started! -->www.go.AppleCrider.com/smm Follow me on Instagram --> www.Instagram.com/applecriderofficial For 250+ videos subscribe to my YouTube channel --> YouTube.com/AppleCrider P.S. I have an Alexa Skill! Look up Apple Crider on the Alexa Store! P.P.S Don't forget to subscribe and leave a 5-star review if you enjoyed the show! #075: Today I had the pleasure of talking with Clark Kegley, founder of Refusing To Settle a YouTube channel that currently has over 250,000 subscribers and generates over $10,000 per month. In this episode, Clark breaks down exactly how to grow a Youtube channel by walking us step-by-step through his systems and processes and some insider tips that you can apply to any platform you want to grow. By the end of this episode you will have all of the tools and strategies you need in order to grow your Youtube channel and start to see serious success on YouTube. Enjoy! Follow Clark on Instagram -- @clarkkegley Find Clark and Refusing to Settle on YouTube -- https://www.youtube.com/ClarkDangerFitness If you have ever thought about buying an online course, check out The Online Course Examiner (www.OnlineCourseExaminer.com) “The Yelp of online courses!” Want to learn how to start your own SMMA? I created a free training to get you started! -->www.go.AppleCrider.com/smm Follow me on Instagram --> www.Instagram.com/applecriderofficial For 250+ videos subscribe to my YouTube channel --> YouTube.com/AppleCrider P.S. I have an Alexa Skill! Look up Apple Crider on the Alexa Store! P.P.S Don't forget to subscribe and leave a 5-star review if you enjoyed the show! #074: Today I had the pleasure of talking with Magie Cook, a leadership and motivational speaker who went from orphanage with 60+ siblings to selling her first business for $250 million. In this episode, Magie talks about her experiences growing up including how she and her siblings used to hunt for their food at night to avoid starvation, and how she was able to take the hardships she was put through and channel them into creating a massively successful raw salsa business. By the end of this episode you will know how to take the roadblocks and struggles that we will all run into and turn those into fuel for your fire. Enjoy! Follow Magie on Instagram -- @magiecook Magie's Website -- www.magiecook.com If you have ever thought about buying an online course, check out The Online Course Examiner (www.OnlineCourseExaminer.com) “The Yelp of online courses!” Want to learn how to start your own SMMA? I created a free training to get you started! -->www.go.AppleCrider.com/smm Follow me on Instagram --> www.Instagram.com/applecriderofficial For 250+ videos subscribe to my YouTube channel --> YouTube.com/AppleCrider P.S. I have an Alexa Skill! Look up Apple Crider on the Alexa Store! P.P.S Don't forget to subscribe and leave a 5-star review if you enjoyed the show! #073: Today I had the pleasure of talking with Lewis Fausett, brand building YouTube consultant, COO at Patrick Adair Designs and owner of Fausett Management. In this episode, Lewis discusses the importance of making connections in business in order to grow both an ecommerce and a consulting business beyond 6-figures. By the end of this episode you will have the tools necessary to network with extremely high-level people and understand how business is done with top influencers. Enjoy! Follow Lewis on Instagram -- @lewiswf Find Lewis on Linkedin -- www.linkedin.com/lewisfausett If you have ever thought about buying an online course, check out The Online Course Examiner (www.OnlineCourseExaminer.com) “The Yelp of online courses!” Want to learn how to start your own SMMA? I created a free training to get you started! -->www.go.AppleCrider.com/smm Follow me on Instagram --> www.Instagram.com/applecriderofficial For 250+ videos subscribe to my YouTube channel --> YouTube.com/AppleCrider P.S. I have an Alexa Skill! Look up Apple Crider on the Alexa Store! P.P.S Don't forget to subscribe and leave a 5-star review if you enjoyed the show! #072: Today I had the pleasure of talking with Mike LeMieux, a social media marketing consultant making multiple 6 figures coaching online influencers and allowing them to realize their full potential. In this episode, Mike discusses how to think critically and look beyond the surface at problems you come across, how you can create your life mindfully and with purpose, and how to take control of the world around you in order to grow as a person and to grow your business. By the end of this episode you know how to start thinking about the world around you on a different level and look a layer deeper. Enjoy! Follow Mike on Instagram -- @mikelemieux If you have ever thought about buying an online course, check out The Online Course Examiner (www.OnlineCourseExaminer.com) “The Yelp of online courses!” Want to learn how to start your own SMMA? I created a free training to get you started! -->www.go.AppleCrider.com/smm Follow me on Instagram --> www.Instagram.com/applecriderofficial For 250+ videos subscribe to my YouTube channel --> YouTube.com/AppleCrider P.S. I have an Alexa Skill! Look up Apple Crider on the Alexa Store! P.P.S Don't forget to subscribe and leave a 5-star review if you enjoyed the show! #071: Today I had the pleasure of talking with Jeremy from Financial Education. Financial Education is a YouTube channel with over 300,000 subscribers that covers the latest stock market news and investing strategies and is a great stock market resource for beginners. In this episode, Jeremy provides a blueprint you can utilize in order to start to creating a lot of content in your business, and how you can use all of that content to rapidly scale and monetize your business. By the end of this episode you will know exactly how to build a sustainable business on the foundation of valuable content and a strong community. Enjoy! Follow Jeremy on Instagram -- @financialeducationjeremy Find Jeremy on YouTube -- www.youtube.com/financialeducation If you have ever thought about buying an online course, check out The Online Course Examiner (www.OnlineCourseExaminer.com) “The Yelp of online courses!” Want to learn how to start your own SMMA? I created a free training to get you started! -->www.go.AppleCrider.com/smm Follow me on Instagram --> www.Instagram.com/applecriderofficial For 250+ videos subscribe to my YouTube channel --> YouTube.com/AppleCrider P.S. I have an Alexa Skill! Look up Apple Crider on the Alexa Store! P.P.S Don't forget to subscribe and leave a 5-star review if you enjoyed the show! #070: Today I had the pleasure of talking with Brett Knutson, founder of three 7 & 8 figure companies, startup investor and public speaker. In this episode, Brett discusses how he was able to scale multiple businesses past 7 figures, the skills that any entrepreneur needs to have, and the importance of relationships in any business that you start. By the end of this episode you will know how to create and manage lasting relationships in your businesses that will allow you to get to the next level. Enjoy! Follow Brett on Instagram -- @knutson If you have ever thought about buying an online course, check out The Online Course Examiner (www.OnlineCourseExaminer.com) “The Yelp of online courses!” Want to learn how to start your own SMMA? I created a free training to get you started! -->www.go.AppleCrider.com/smm Follow me on Instagram --> www.Instagram.com/applecriderofficial For 250+ videos subscribe to my YouTube channel --> YouTube.com/AppleCrider P.S. I have an Alexa Skill! Look up Apple Crider on the Alexa Store! P.P.S Don't forget to subscribe and leave a 5-star review if you enjoyed the show! #069: Today I had the pleasure of talking with Richie Norton, 7 figure entrepreneur, founder of Prouduct, and author of The Power of Starting Something Stupid. In this episode, Richie breaks down what it takes to actually start something, and why often times the best thing to start is something stupid. Additionally, Richie talks about one of the biggest traps that entrepreneurs run into that has the potential to ruin your business. By the end of this episode you will what you need to do in order to create a successful business on your terms and why starting something stupid is the first step. Richie brings such a positive energy anywhere he goes, so get ready to get positive! Enjoy! Follow Richie on Instagram -- @richie_norton Richie's Website -- www.richienorton.com If you have ever thought about buying an online course, check out The Online Course Examiner (www.OnlineCourseExaminer.com) “The Yelp of online courses!” Want to learn how to start your own SMMA? I created a free training to get you started! -->www.go.AppleCrider.com/smm Follow me on Instagram --> www.Instagram.com/applecriderofficial For 250+ videos subscribe to my YouTube channel --> YouTube.com/AppleCrider P.S. I have an Alexa Skill! Look up Apple Crider on the Alexa Store! P.P.S Don't forget to subscribe and leave a 5-star review if you enjoyed the show! #068: Today I had the pleasure of talking with Sam Jacobs, an 18 year old entrepreneur, CEO of 3 companies, and eCommerce millionaire. In this episode, Sam discusses how he was able to go from $2,000 in his bank account to a $1.3 million dropshipping business in under a year and completely transform his life. By the end of this episode you will know exactly what it takes to start a successful dropshipping business and have the tools to replicate Sam's successes yourself. Enjoy! Follow Sam on Instagram -- @samjacobs Find Sam on YouTube -- https://www.youtube.com/channel/UC4HgxOCFbeIKKJcTvv4xSeA If you have ever thought about buying an online course, check out The Online Course Examiner (www.OnlineCourseExaminer.com) “The Yelp of online courses!” Want to learn how to start your own SMMA? I created a free training to get you started! -->www.go.AppleCrider.com/smm Follow me on Instagram --> www.Instagram.com/applecriderofficial For 250+ videos subscribe to my YouTube channel --> YouTube.com/AppleCrider P.S. I have an Alexa Skill! Look up Apple Crider on the Alexa Store! P.P.S Don't forget to subscribe and leave a 5-star review if you enjoyed the show! #066: Today I had the pleasure of talking with Ashwin Jacob, host of the New Hollywood podcast. New Hollywood is less of a podcast and more of a secret invite to Hollywood insiders giving away the secrets of some of the best in the business. In this episode, Ashwin talks about building valuable relationships and how the connections he has built have helped him in building and scaling his business. By the end of this episode, you will have the skills that you need to in order to develop your current relationships and connect with the people that will help you get to the next level. Enjoy! Follow Ashwin on Instagram -- @newhollywood and @ashwinjacob Find Ashwin on iTunes, Spotify and Youtube -- New Hollywood Shoot him an email -- ashwin@newhollywood.biz If you have ever thought about buying an online course, check out The Online Course Examiner (www.OnlineCourseExaminer.com) “The Yelp of online courses!” Want to learn how to start your own SMMA? I created a free training to get you started! -->www.go.AppleCrider.com/smm Follow me on Instagram --> www.Instagram.com/applecriderofficial For 250+ videos subscribe to my YouTube channel --> YouTube.com/AppleCrider P.S. I have an Alexa Skill! Look up Apple Crider on the Alexa Store! P.P.S Don't forget to subscribe and leave a 5-star review if you enjoyed the show! #064: Today I had the pleasure of talking with Chase Namic, a 20 year old entrepreneur who currently runs 15 cash cow Youtube Channels that bring in $100,000 a month. In this episode, Chase discusses how to get started monetizing a YouTube channel without having to create content and how you can create an entire network of YouTube channels that work on autopilot to make you $$$. By the end of this episode you will know how to create and scale a real business by effectively utilizing YouTube and other people's time. Enjoy! Follow Chase on Instagram -- @chasenamic If you have ever thought about buying an online course, check out The Online Course Examiner (www.OnlineCourseExaminer.com) “The Yelp of online courses!” Want to learn how to start your own SMMA? I created a free training to get you started! -->www.go.AppleCrider.com/smm Follow me on Instagram --> www.Instagram.com/applecriderofficial For 250+ videos subscribe to my YouTube channel --> YouTube.com/AppleCrider P.S. I have an Alexa Skill! Look up Apple Crider on the Alexa Store! P.P.S Don't forget to subscribe and leave a 5-star review if you enjoyed the show! #063: Today I had the pleasure of talking with Daxy Perez, the CEO and founder of a top podcasting agency that works with high-level influencers and is able to consistently bring in multiple 6 figures. In this episode, Dazy discusses his experiences as a pioneer in the podcasting space, how he has been able to land top influencers as clients, and how you can begin to effectively leverage podcasting to grow your business and reach more people. By the end of this episode you will know exactly how to create a successful podcast and how you can begin to connect with some of the biggest influencers in your niche. Enjoy! Follow Dazy on Instagram -- @iamdaxy Join Dazy's Facebook Group -- Podcast Success Secrets If you have ever thought about buying an online course, check out The Online Course Examiner (www.OnlineCourseExaminer.com) “The Yelp of online courses!” Want to learn how to start your own SMMA? I created a free training to get you started! -->www.go.AppleCrider.com/smm Follow me on Instagram --> www.Instagram.com/applecriderofficial For 250+ videos subscribe to my YouTube channel --> YouTube.com/AppleCrider P.S. I have an Alexa Skill! Look up Apple Crider on the Alexa Store! P.P.S Don't forget to subscribe and leave a 5-star review if you enjoyed the show! #062: Today I had the pleasure of talking with Branden Hampton, the original social media influencer according to Forbes. Branden is someone who got to the social media game very early and has been able to start multiple 7 figure companies by leveraging his social media network and status. In this episode, Brendan teaches you how to start growing your own social media audience quickly, how to establish your online presence as an authority figure, and how you can turn followers into dollars. By the end of this episode you will know exactly what it takes to build your brand online and how you can build a highly profitable business on a foundation of strategic relationships. Enjoy! Follow Brendan on Instagram -- @money Follow Brendan on Twitter - @CEO If you have ever thought about buying an online course, check out The Online Course Examiner (www.OnlineCourseExaminer.com) “The Yelp of online courses!” Want to learn how to start your own SMMA? I created a free training to get you started! -->www.go.AppleCrider.com/smm Follow me on Instagram --> www.Instagram.com/applecriderofficial For 250+ videos subscribe to my YouTube channel --> YouTube.com/AppleCrider P.S. I have an Alexa Skill! Look up Apple Crider on the Alexa Store! P.P.S Don't forget to subscribe and leave a 5-star review if you enjoyed the show! #061: Today I had the pleasure of talking with Vova Tess, a young entrepreneur who is having massive success in dropshippinig at only 17 years old. In this episode Vova discusses how he get started in dropshipping, what he's daily routine that he has used to find significant success with this business model, and the mindset you need in order to become a successful entrepreneur at a young age. By the end of this episode you will know step-by-step what you need to do to become a profitable dropshipper. Enjoy! Follow Vova on Instagram -- @vova_tess Find Vova on YouTube -- https://www.youtube.com/vovatess If you have ever thought about buying an online course, check out The Online Course Examiner (www.OnlineCourseExaminer.com) “The Yelp of online courses!” Want to learn how to start your own SMMA? I created a free training to get you started! -->www.go.AppleCrider.com/smm Follow me on Instagram --> www.Instagram.com/applecriderofficial For 250+ videos subscribe to my YouTube channel --> YouTube.com/AppleCrider P.S. I have an Alexa Skill! Look up Apple Crider on the Alexa Store! P.P.S Don't forget to subscribe and leave a 5-star review if you enjoyed the show! #060: Today I had the pleasure of talking with Christian Zeron, a vintage watch collector and the founder of Theo & Harris, a 7 figure vintage watch company. In this episode, Christian shares all he has learned when it comes to staring a business at a young age, and building a significant business on Instagram from the ground up. By the end of this episode you will have the tools you need to get started growing your online business quickly using social media (and you'll learn a bit about vintage watches too!). Enjoy! Follow Christian on Instagram -- @christianzeron Check out Christian's Website: www.theoandharris.com Find Christian on YouTube -- www.youtube.com/theoandharris If you have ever thought about buying an online course, check out The Online Course Examiner (www.OnlineCourseExaminer.com) “The Yelp of online courses!” Want to learn how to start your own SMMA? I created a free training to get you started! -->www.go.AppleCrider.com/smm Follow me on Instagram --> www.Instagram.com/applecriderofficial For 250+ videos subscribe to my YouTube channel --> YouTube.com/AppleCrider P.S. I have an Alexa Skill! Look up Apple Crider on the Alexa Store! P.P.S Don't forget to subscribe and leave a 5-star review if you enjoyed the show! #059: Today I had the pleasure of talking with Pavan Marisetti, a young entrepreneur and college student who was able to create, scale, and sell his first business for $80,000 to a large insurance company in only a few months. In this episode, Pavan discusses how he was able to go out on his own at a very young age and make a significant amount money doing something he loves. He also shares how his past experiences and upbringing led him to where he is now and how you can begin to take the steps to move yourself forward as an entrepreneur. By the end of this episode you will have a solid understanding on how you can get started building a business to sell even if you have little-to-no resources or experience. Enjoy! Check out Pavan's Profile on LinkedIn -- https://www.linkedin.com/in/pavanmarisetti/ If you have ever thought about buying an online course, check out The Online Course Examiner (www.OnlineCourseExaminer.com) “The Yelp of online courses!” Want to learn how to start your own SMMA? I created a free training to get you started! -->www.go.AppleCrider.com/smm Follow me on Instagram --> www.Instagram.com/applecriderofficial For 250+ videos subscribe to my YouTube channel --> YouTube.com/AppleCrider P.S. I have an Alexa Skill! Look up Apple Crider on the Alexa Store! P.P.S Don't forget to subscribe and leave a 5-star review if you enjoyed the show! #058: Today I had the pleasure of talking with Jefferson Santos, a 7-Figure Entrepreneur in the network marketing space and a bestselling author of Higher Life Design. In this episode, Jefferson dives deep on multi-level marketing. This can be a highly controversial subject, but throughout the episode I attempt to keep the conversation as unbiased and value-driven as possible so please try to leave your pre-conceived notions at the door and come into this conversation with an open mind. By the end of this episode you will have a deeper understanding of the network marketing business model and whether or not it makes sense for you. Enjoy! Follow Jefferson on Instagram -- @jeffersonfsantos Check Out Jefferson's book -- www.higherlifedesignbook.com Find Jefferson on YouTube -- www.youtube.com/blitzmentality If you have ever thought about buying an online course, check out The Online Course Examiner (www.OnlineCourseExaminer.com) “The Yelp of online courses!” Want to learn how to start your own SMMA? I created a free training to get you started! -->www.go.AppleCrider.com/smm Follow me on Instagram --> www.Instagram.com/applecriderofficial For 250+ videos subscribe to my YouTube channel --> YouTube.com/AppleCrider P.S. I have an Alexa Skill! Look up Apple Crider on the Alexa Store! P.P.S Don't forget to subscribe and leave a 5-star review if you enjoyed the show! #057: Today I had the pleasure of talking with Jay Jackson, an Online Fitness Coach and social media entrepreneur. In this episode, Jay discusses talks a lot about sales, how to effectively sell more of your product online without feeling sleazy, and the importance of relationships in business. By the end of this episode you will have a step-by-step blueprint on how to boost your sales. Enjoy! Follow Jay on Instagram -- @jayjacksonofficial If you have ever thought about buying an online course, check out The Online Course Examiner (www.OnlineCourseExaminer.com) “The Yelp of online courses!” Want to learn how to start your own SMMA? I created a free training to get you started! -->www.go.AppleCrider.com/smm Follow me on Instagram --> www.Instagram.com/applecriderofficial For 250+ videos subscribe to my YouTube channel --> YouTube.com/AppleCrider P.S. I have an Alexa Skill! Look up Apple Crider on the Alexa Store! P.P.S Don't forget to subscribe and leave a 5-star review if you enjoyed the show! #056: Today I had the pleasure of talking with Mike Swick, a 15 time UFC veteran and the founder & CEO of the AKA Thailand super gym. In this episode, Mike discusses how you can continue to make progress in all aspects of your life and break free from the ruts that we often find ourselves in. Through his fighting and entrepreneurial career, Mike has encountered many struggles, setbacks, and hardships, and been able to develop a system to ensure that he is consistently makeing progress in whatever he does. By the end of this episode you will know exactly what you need to do every time you run into difficulties along your path, or find yourself stagnating. Enjoy! Follow Mike on Instagram -- @mike_swick Check out AKA Thailand -- www.akaThailand.com If you have ever thought about buying an online course, check out The Online Course Examiner (www.OnlineCourseExaminer.com) “The Yelp of online courses!” Want to learn how to start your own SMMA? I created a free training to get you started! -->www.go.AppleCrider.com/smm Follow me on Instagram --> www.Instagram.com/applecriderofficial For 250+ videos subscribe to my YouTube channel --> YouTube.com/AppleCrider P.S Don't forget to subscribe and leave a 5-star review if you enjoyed the show! #055: Today I had the pleasure of talking with Quenten and Jovan of Choose Pristine. A few months ago Quenten and Jovan decided to launch an online course teaching people how to start their own SMMA and were seeing some success, but it could have been better. They decided to make a few simple tweaks to their sales processes and within the first 2 months of 2019 they had brough in over $800,000 and were well on their way to hitting $1,000,000 at 19 AND 22 YEARS OLD. In this episode Quenten and Jovan discuss how they were able to skyrocket their sales extremely quickly, the exact structure and the steps they took, and how you can implement what they learned in your business. By the end of this episode you will have a step-by-step blueprint to take your business to the next level. Enjoy! Follow Quenten on Instagram -- @quentenchad_ and Jovan on Instagram -- @ jovanstojanovic_ Find Choose Pristine on Youtube: https://www.youtube.com/choosepristine If you have ever thought about buying an online course, check out The Online Course Examiner (www.OnlineCourseExaminer.com) “The Yelp of online courses!” Want to learn how to start your own SMMA? I created a free training to get you started! -->www.go.AppleCrider.com/smm Follow me on Instagram --> www.Instagram.com/applecriderofficial For 250+ videos subscribe to my YouTube channel --> YouTube.com/AppleCrider P.S. I have an Alexa Skill! Look up Apple Crider on the Alexa Store! P.P.S Don't forget to subscribe and leave a 5-star review if you enjoyed the show! #054: Today I had the pleasure of talking with Will Tseng a.k.a "The Skinny Survivor", a fitness influencer who is doing really massive things in a very young age through his personal brand and coaching. In this episode, Will discusses how to grow your online presence through personal branding and shares the keys he used to gain tens of thousands of followers on Instagram in a relatively short period of time. Will also covers how you can turn the struggles and hardships you have gone through into fuel for your business and create something meaningful from your pain. By the end of this episode you will have a greater understanding of how to build your personal brand quickly and increase your online presence. Enjoy! Follow Will on Instagram -- @theskinnysurvivor Will's FREE muscle-building guide -- www.yourfirst10pounds.com If you have ever thought about buying an online course, check out The Online Course Examiner (www.OnlineCourseExaminer.com) “The Yelp of online courses!” Want to learn how to start your own SMMA? I created a free training to get you started! -->www.go.AppleCrider.com/smm Follow me on Instagram --> www.Instagram.com/applecriderofficial For 250+ videos subscribe to my YouTube channel --> YouTube.com/AppleCrider P.S Don't forget to subscribe and leave a 5-star review if you enjoyed the show! #053: Today I had the pleasure of talking with Marko Zlatic, the host and creator of Whiteboard Finance, a YouTube channel focused on personal finance, the stock market, and entrepreneurship. In this episode, Marko will share everything you need to know in order to get started with investing into the stock market including: what the stock market is, what gives a stock value, how to find a good investment, how much money you actually need to get started investing and a whole lot more! By the end of this episode you will know exactly what you need to do to get started investing the right way and how to avoid some of the most costly mistakes that beginner investors run into. Enjoy! Follow Marko on Instagram -- @whiteboardfinance Find Marko on YouTube -- www.youtube.com/WhiteBoardFinance If you have ever thought about buying an online course, check out The Online Course Examiner (www.OnlineCourseExaminer.com) “The Yelp of online courses!” Want to learn how to start your own SMMA? I created a free training to get you started! -->www.go.AppleCrider.com/smm Follow me on Instagram --> www.Instagram.com/applecriderofficial For 250+ videos subscribe to my YouTube channel --> YouTube.com/AppleCrider P.S Don't forget to subscribe and leave a 5-star review if you enjoyed the show! #052: Today I had the pleasure of talking with Brendan Kane, a big name in the world of Social Media having worked with clients like Taylor Swift, Rihanna, Katie Couric, and more to build their social media following and grow their brands. In this episode, Brendan discusses his framework for leveraging social media platforms to grow your brand and spread your message, how to find success as someone who is just starting to build their personal brand, and a whole lot more. By the end of this episode you will have a step-by-step plan for growing your personal brand through social media. Enjoy! Follow Beau on Instagram -- @brendankane Check out Brendan Kane's Book - https://www.onemillionfollowers.com If you have ever thought about buying an online course, check out The Online Course Examiner (www.OnlineCourseExaminer.com) “The Yelp of online courses!” Want to learn how to start your own SMMA? I created a free training to get you started! -->www.go.AppleCrider.com/smm Follow me on Instagram --> www.Instagram.com/applecriderofficial For 250+ videos subscribe to my YouTube channel --> YouTube.com/AppleCrider P.S Don't forget to subscribe and leave a 5-star review if you enjoyed the show! #051: Today I had the pleasure of talking with John Trautman, CEO of Real Estate Knowledge Institute. An author, entrepreneur and longtime real estate investor. In this episode, John discusses how you can get started investing in Real Estate at a young age, teaches people strategies to accelerate their lives with hard work, and how to take what life throws at you as fuel to create something amazing. By the end of this episode you will have a good understanding on how to get started in real estate (with little money). Enjoy! Follow Beau on Instagram -- @john_trautman Find REKI (Real Estate Knowledge Insitute) -- realestateki.com If you have ever thought about buying an online course, check out The Online Course Examiner (www.OnlineCourseExaminer.com) “The Yelp of online courses!” Want to learn how to start your own SMMA? I created a free training to get you started! -->www.go.AppleCrider.com/smm Follow me on Instagram --> www.Instagram.com/applecriderofficial For 250+ videos subscribe to my YouTube channel --> YouTube.com/AppleCrider P.S Don't forget to subscribe and leave a 5-star review if you enjoyed the show! #050: Today I had the pleasure of talking with Scott Resnick, 7 figure entrepreneur, and COO / Founder of Hardin Design & Development. Hardin is in the business of developing apps and other software projects for Fortune 500 companies including Ford, Disney, and Mercedes-Benz. In this episode, Scott shares how he managed to start a company with 8 co-founders out of his dorm room, tactical strategies for building connections/relationship with people like Jeff Bezos, and how to take your business to the next level by moving faster than the competition. By the end of this episode you will have a good understanding what it really takes to create a long-term business that is built to last and built to scale while avoiding some of the most common entrepreneurial pitfalls. Enjoy! Follow Scott on Twitter -- @sjresnick If you have ever thought about buying an online course, check out The Online Course Examiner (www.OnlineCourseExaminer.com) “The Yelp of online courses!” Want to learn how to start your own SMMA? I created a free training to get you started! -->www.go.AppleCrider.com/smm Follow me on Instagram --> www.Instagram.com/applecriderofficial For 300+ videos subscribe to my YouTube channel --> YouTube.com/AppleCrider P.S Don't forget to subscribe and leave a 5-star review if you enjoyed the show! #049: Today I had the pleasure of talking with Spencer X Smith, a public speaker and founder of AmpliPhiBiz, a 6 figure social media agency. In this episode, Spencer discusses social media marketing and how to calculate the Return on Top of Mind Awareness. Return on Top of Mind Awareness is an idea that can allow you to calculate your ROI on your social media and allow you to land more clients with your social media marketing agency. By the end of this episode, you will have a good understanding of how can be on top of somebody’s mind that can bring financial return just with interaction with that person. Enjoy! Follow Spencer on Instagram -- @spencerxsmith Find Spencer on YouTube -- www.youtube.com/spencerxsmith Check out Spencer's book! -- https://amzn.to/2XIGV8G If you have ever thought about buying an online course, check out The Online Course Examiner (www.OnlineCourseExaminer.com) “The Yelp of online courses!” Want to learn how to start your own SMMA? I created a free training to get you started! -->www.go.AppleCrider.com/smm Follow me on Instagram --> www.Instagram.com/applecriderofficial For 250+ videos subscribe to my YouTube channel --> YouTube.com/AppleCrider P.S. I have an Alexa Skill! Look up Apple Crider on the Alexa Store! P.P.S Don't forget to subscribe and leave a 5-star review if you enjoyed the show! #048: Today I had the pleasure of talking with Kris Gomez a.k.a. "Kris Da Shark", a serial entrepreneur with a classic rags to riches story. In this episode, Kris discusses his process of building his massive real estate empire across the country, the 3 main types of real estate investing, and the things that set him apart from everyone else. By the end of this episode you will have a good understanding on how to get started investing in real estate, and have some great sales tips up your sleeve that you can leverage in any negotiation. Enjoy! Follow Kirs on Instagram -- @krisdashark If you have ever thought about buying an online course, check out The Online Course Examiner (www.OnlineCourseExaminer.com) “The Yelp of online courses!” Want to learn how to start your own SMMA? I created a free training to get you started! -->www.go.AppleCrider.com/smm Follow me on Instagram --> www.Instagram.com/applecriderofficial For 250+ videos subscribe to my YouTube channel --> YouTube.com/AppleCrider P.S Don't forget to subscribe and leave a 5-star review if you enjoyed the show! #047: Today I had the pleasure of talking with PT Money, most widely known for being the creator of FinCon, an event that brings together creators in the personal finance space to connect and share their knowledge with one another. From bloggers, to podcasters, to YouTubers, this conference features some of the most prominent creators in the industry and is an event that has had a massive impact on my life. In this episode, I wanted to bring PT on the show to talk about how he was able to grow such a successful event and all of the steps required to create your own in-person event to bring together the people in your niche. By the end of this episode, you will have a deep understanding of the intricacies of creating a conference from the ground up, and know how some of your favorite events work behind-the-scenes. Enjoy! Follow PT on Instagram -- @ptmoney If you have ever thought about buying an online course, check out The Online Course Examiner (www.OnlineCourseExaminer.com) “The Yelp of online courses!” Want to learn how to start your own SMMA? I created a free training to get you started! -->www.go.AppleCrider.com/smm Follow me on Instagram --> www.Instagram.com/applecriderofficial For 250+ videos subscribe to my YouTube channel --> YouTube.com/AppleCrider P.S Don't forget to subscribe and leave a 5-star review if you enjoyed the show! #046: Today I had the pleasure of talking with Joe Stabier, an E-commerce Entrepreneur who is making a KILLING through Shopify dropshipping. In this episode, Joe discusses how to grow your E-commerce business through marketing and advertising on social media, and what it really takes to grow your online business to that 6-figure mark from. By the end of this episode you will have a deep understanding of social media marketing and how to effectively market your Shopify dropshipping products in order to quickly scale your business. Enjoy! Follow Joe Staiber on Instagram -- @staiberr If you have ever thought about buying an online course, check out The Online Course Examiner (www.OnlineCourseExaminer.com) “The Yelp of online courses!” Want to learn how to start your own SMMA? I created a free training to get you started! -->www.go.AppleCrider.com/smm Follow me on Instagram --> www.Instagram.com/applecriderofficial For 250+ videos subscribe to my YouTube channel --> YouTube.com/AppleCrider P.S Don't forget to subscribe and leave a 5-star review if you enjoyed the show! #045: Today I had the pleasure of talking with Hannah Carlson, an Event Manager & head of a network of Social Media Influencers. In this episode, Hannah discusses how she started her influencer agency, how to network effectively in any niche, and how to gain social media clout. By the end of this episode, you will have a deep understanding of the intricacies of influencer marketing, and know how online influencers are actually making their income. Enjoy! Follow Hannah on Instagram -- @the.hannahcarlson and @fifthbull If you have ever thought about buying an online course, check out The Online Course Examiner (www.OnlineCourseExaminer.com) “The Yelp of online courses!” Want to learn how to start your own SMMA? I created a free training to get you started! -->www.go.AppleCrider.com/smm Follow me on Instagram --> www.Instagram.com/applecriderofficial For 250+ videos subscribe to my YouTube channel --> YouTube.com/AppleCrider P.S Don't forget to subscribe and leave a 5-star review if you enjoyed the show! #044: Today I had the pleasure of talking with Nate O’Brien, 20 year old YouTube entrepreneur and college student. In this episode, Nate discusses how to get started making money online by selling small products on ebay and pivot into creating more scalable sources of income that now allow him to travel the world and have massive success while staying in school. By the end of this episode you will have a good understanding on what it takes to start a business at a very young age and enjoy every minute of it. Enjoy! Follow Nate on Instagram -- @nateobrienn Find Nate on YouTube -- https://www.youtube.com/nateobrien If you have ever thought about buying an online course, check out The Online Course Examiner (www.OnlineCourseExaminer.com) “The Yelp of online courses!” Want to learn how to start your own SMMA? I created a free training to get you started! -->www.go.AppleCrider.com/smm Follow me on Instagram --> www.Instagram.com/applecriderofficial For 250+ videos subscribe to my YouTube channel --> YouTube.com/AppleCrider P.S Don't forget to subscribe and leave a 5-star review if you enjoyed the show! #043: Today I had the pleasure of talking with Beau Crabill, Amazon FBA Seller and youngest recipient of the ClickFunnels 2 Comma Club Award for making over one million dollars from a single sales funnel. In this episode, Beau discusses selling products on amazon, teach people how to sell products online and how he created the sales funnel that brought him over a million dollars. By the end of this episode you will have a good understanding on how money is made by selling online products. Enjoy! Follow Beau on Instagram -- @beaucrabill Find Beau on YouTube -- www.youtube.com/beaucrabill If you have ever thought about buying an online course, check out The Online Course Examiner (www.OnlineCourseExaminer.com) “The Yelp of online courses!” Want to learn how to start your own SMMA? I created a free training to get you started! -->www.go.AppleCrider.com/smm Follow me on Instagram --> www.Instagram.com/applecriderofficial For 250+ videos subscribe to my YouTube channel --> YouTube.com/AppleCrider P.S. I have an Alexa Skill! Look up Apple Crider on the Alexa Store! P.P.S Don't forget to subscribe and leave a 5-star review if you enjoyed the show! #042: Today I had the pleasure of talking with Jake Woodard, Life Coach & Podcaster. In this episode, Jake discusses personal relationship, guiding people to heal emotional wounds and overcome fear, and how to manage the emotional roller coaster that is entrepreneurship. By the end of this episode you will have a good understanding on how to use pain as a fuel to move forward and to become successful. Enjoy! Follow Jake on Instagram -- @_jakewoodard Find Jake on YouTube -- www.youtube.com/channel/UC-kCjrR7bqfkK7zaUnZ55Ug If you have ever thought about buying an online course, check out The Online Course Examiner (www.OnlineCourseExaminer.com) “The Yelp of online courses!” Want to learn how to start your own SMMA? I created a free training to get you started! -->www.go.AppleCrider.com/smm Follow me on Instagram --> www.Instagram.com/applecriderofficial For 250+ videos subscribe to my YouTube channel --> YouTube.com/AppleCrider P.S. I have an Alexa Skill! Look up Apple Crider on the Alexa Store! P.P.S Don't forget to subscribe and leave a 5-star review if you enjoyed the show! What makes a good online course? How do you know whether an online course is worth dropping $500+ on? These 7 criteria for choosing the right online course will make sure you never regret a choice to buy a course again. This video will help you find which online course are going to be worth it before you buy them. Enjoy! If you have ever thought about buying an online course, check out The Online Course Examiner (www.OnlineCourseExaminer.com) “The Yelp of online courses!” Want to learn how to start your own SMMA? I created a free training to get you started! -->www.go.AppleCrider.com/smm Follow me on Instagram --> www.Instagram.com/applecriderofficial For 250+ videos subscribe to my YouTube channel --> YouTube.com/AppleCrider P.S. I have an Alexa Skill! Look up Apple Crider on the Alexa Store! P.P.S Don't forget to subscribe and leave a 5-star review if you enjoyed the show! #041: Today I had the pleasure of talking with Dominik DeCoco, creative maverick and entrepreneur. In this episode, Dominik discusses how to get started, starting a business with multiple people and the future of Instagram. By the end of this episode you will have a good understanding on how to grow and monetize your Instagram account. Enjoy! Follow Dominik on Instagram -- @heydominik Find Dominik on YouTube -- https://www.youtube.com/user/heydominikTV/featured If you have ever thought about buying an online course, check out The Online Course Examiner (www.OnlineCourseExaminer.com) “The Yelp of online courses!” Want to learn how to start your own SMMA? I created a free training to get you started! -->www.go.AppleCrider.com/smm Follow me on Instagram --> www.Instagram.com/applecriderofficial For 250+ videos subscribe to my YouTube channel --> YouTube.com/AppleCrider P.S. I have an Alexa Skill! Look up Apple Crider on the Alexa Store! P.P.S Don't forget to subscribe and leave a 5-star review if you enjoyed the show! #040: Today I had the pleasure of talking with E-Commerce Entrepreneur Michael Saba (aka. The Wolf Of Wifi Money). In this episode, Michael discusses dropshipping, how to find products and how to advertise products. By the end of this episode you will have a good understanding on how you can earn money through dropshipping. Enjoy! Follow Michael on Instagram -- @thewolfofwifimoney Find Michael on YouTube -- https://www.youtube.com/channel/UCzbab1Jf4s6bfaUDuo0GSVA/featured If you have ever thought about buying an online course, check out The Online Course Examiner (www.OnlineCourseExaminer.com) “The Yelp of online courses!” Want to learn how to start your own SMMA? I created a free training to get you started! -->www.go.AppleCrider.com/smm Follow me on Instagram --> www.Instagram.com/applecriderofficial For 250+ videos subscribe to my YouTube channel --> YouTube.com/AppleCrider P.S. I have an Alexa Skill! Look up Apple Crider on the Alexa Store! P.P.S Don't forget to subscribe and leave a 5-star review if you enjoyed the show! #039: Today I had the pleasure of talking with Josue Pena, Social Media Growth Hacker and Marketer. In this episode, Josue discusses creating valuable pieces of content, knowing how to deal with stress and falling in love with the process. By the end of this episode you will have a good understanding on how to grow your business exponentially. Enjoy! Follow Josue on Instagram -- @itsjosuepena Find Josue on YouTube https://www.youtube.com/channel/UCiQ3ZhSoXN1ixHIhjzym1uw/featured If you have ever thought about buying an online course, check out The Online Course Examiner (www.OnlineCourseExaminer.com) “The Yelp of online courses!” Want to learn how to start your own SMMA? I created a free training to get you started! -->www.go.AppleCrider.com/smm Follow me on Instagram --> www.Instagram.com/applecriderofficial For 250+ videos subscribe to my YouTube channel --> YouTube.com/AppleCrider P.S. I have an Alexa Skill! Look up Apple Crider on the Alexa Store! P.P.S Don't forget to subscribe and leave a 5-star review if you enjoyed the show! #038: Today I had the pleasure of talking with Ben Hedges (aka. The Credit Shifu) about his entrepreneurial journey and the power of credit cards. Over the years Ben has been able to score some serious free travel and build a YouTube channel with over 75,000 subscribers where he shows others how to do the same. In this episode we break down some of the easiest ways for beginners to start earning credit card rewards, and give you the tools you need to get started with scoring some free travel yourself. Enjoy! Books Ben mentioned: Rich Dad Poor Dad - https://amzn.to/2U8NHCQ Think & Grow Rich - https://amzn.to/2SnlPZS Falun Gong - https://amzn.to/2Qcmhhf Follow Credit Shifu on Instagram --> @TheCreditShifu Find Credit Shifu on YouTube - www.YouTube.com/thecreditshifu Want to learn how to start your own SMMA? I created a free training to get you started! --> www.go.AppleCrider.com/smm Follow me on Instagram --> @AppleCriderOfficial For 250+ videos subscribe to my YouTube channel --> YouTube.com/AppleCrider P.S. I have an Alexa Skill! Look up Apple Crider on the Alexa Store! P.P.S Don't forget to leave a 5-star review if you enjoyed the show! The BEST resources for young entrepreneurs looking to start an online business and start making money online. As someone who has grown several online businesses in college, I have come across some great resources that many college entrepreneurs are not taking full advantage of. So I decided to share them with you. Enjoy! If you have ever thought about buying an online course, check out The Online Course Examiner (www.OnlineCourseExaminer.com) “The Yelp of online courses!” Want to learn how to start your own SMMA? I created a free training to get you started! -->www.go.AppleCrider.com/smm Follow me on Instagram --> www.Instagram.com/applecriderofficial For 250+ videos subscribe to my YouTube channel --> YouTube.com/AppleCrider P.S. I have an Alexa Skill! Look up Apple Crider on the Alexa Store! P.P.S Don't forget to subscribe and leave a 5-star review if you enjoyed the show! #030: Today I had the pleasure of talking with Joshua Kopac about affiliate marketing and his entrepreneurial journey. As a 14 year old, Joshua was able to build and sell a company for $35,000 and from there he was hooked. In this episode we break down some of the most prevalent affiliate marketing myths and give you the tools you need to get started with affiliate marketing yourself. Enjoy! Follow Joshua on Instagram --> @IlluminatedLlama Want to learn how to start your own SMMA? I created a free training to get you started! --> www.go.AppleCrider.com/smm Follow me on Instagram --> @AppleCriderOfficial For 250+ videos subscribe to my YouTube channel --> YouTube.com/AppleCrider P.S. I have an Alexa Skill! Look up Apple Crider on the Alexa Store! P.P.S Don't forget to leave a 5-star review if you enjoyed the show! Over the last 6 months of building my online business to a point where it brings in a full-time income, I have really begun to realize the importance and the value of working for free. Today we are talking about the top 5 reasons why you should be working for free, especially as a college student. By the end of this episode you will be able to leverage working for free to achieve your goals and build your network. Want to learn how to start your own SMMA? I created a free training to get you started! --> www.go.AppleCrider.com/smm Follow me on Instagram --> @AppleCriderOfficial For 250+ videos subscribe to my YouTube channel --> YouTube.com/AppleCrider P.S. I have an Alexa Skill! Look up Apple Crider on the Alexa Store! P.P.S Don't forget to leave a 5-star review if you enjoyed the show! #029: Today I had the pleasure of talking with Jim McKenna, creator of the infamous Bill Nye The Science Guy. Jim has been in the TV industry his entire life and in this episode he drops some serious insight as to what it is like behind the scenes and what went in to creating Bill Nye The Science Guy and growing it into a generational icon. Jim also shares a new project that he is working on called Biz Kid$ which is essentially Bill Nye but just replace all of the science with entrepreneurship and financial literacy. Enjoy! Follow Biz Kid$ on Instagram --> @BizKidsTV Want to learn how to start your own SMMA? I created a free training to get you started! --> www.go.AppleCrider.com/smm Follow me on Instagram --> @AppleCriderOfficial For 250+ videos subscribe to my YouTube channel --> YouTube.com/AppleCrider P.S. I have an Alexa Skill! Look up Apple Crider on the Alexa Store! P.P.S Don't forget to leave a 5-star review if you enjoyed the show! As a college student that makes a full-time income online, I wanted to share with you some of my favorite ways to get started making money online. Today we are laying out my top 5 favorite ways that I have used to make an extra $200 a day as a broke college student. By the end of this episode you will be ready to take action and create a significant income for your. Want to learn how to start your own SMMA? I created a free training to get you started! --> www.go.AppleCrider.com/smm Follow me on Instagram --> @AppleCriderOfficial For 250+ videos subscribe to my YouTube channel --> YouTube.com/AppleCrider P.S. I have an Alexa Skill! Look up Apple Crider on the Alexa Store! P.P.S Don't forget to leave a 5-star review if you enjoyed the show! #028: Today I had the pleasure of talking with Felicity of Fetching Financial Freedom, a blog chronicling her path to early retirement age the age of 30. To many, the idea of retiring this early, but this is definitely a goal that is much more attainable than most would think. In this episode we cover the basics of financial freedom, early retirement, and how Felicity is able to save over 80% of her income and retire at such an early age. Enjoy! Follow Felicity on Instagram --> @Fetching_Freedom Want to learn how to start your own SMMA? I created a free training to get you started! --> www.go.AppleCrider.com/smm Follow me on Instagram --> @AppleCriderOfficial For 250+ videos subscribe to my YouTube channel --> YouTube.com/AppleCrider P.S. I have an Alexa Skill! Look up Apple Crider on the Alexa Store! P.P.S Don't forget to leave a 5-star review if you enjoyed the show! Recently I hired my first employee for my SMMA and wow was that a learning experience. Today we are talking about hiring your first employee as an entrepreneur, when you should be doing this, and how you can actually go about finding qualified prospects. By the end of this episode you will be more confident in your hiring skills and ability to avoid some of the mistakes that I made. Want to learn how to start your own SMMA? I created a free training to get you started! --> www.go.AppleCrider.com/smm Follow me on Instagram --> @AppleCriderOfficial For 250+ videos subscribe to my YouTube channel --> YouTube.com/AppleCrider P.S. I have an Alexa Skill! Look up Apple Crider on the Alexa Store! P.P.S Don't forget to leave a 5-star review if you enjoyed the show! #027: Today I had the pleasure of talking with John Danes. John is the host of the No Excuses show, a podcast that brings in some big name influencers like Ryan Scribner and Ricky Gutierrez and is also a 19 year old. Today John and I talk about how to reach out to big influencers, how to stand out from the crowd, and how to start your own podcast and grow it quickly. Enjoy! Follow John on Instagram --> @Johnmdanes Want to learn how to start your own SMMA? I created a free training to get you started! --> www.go.AppleCrider.com/smm Follow me on Instagram --> @AppleCriderOfficial For 250+ videos subscribe to my YouTube channel --> YouTube.com/AppleCrider P.S. I have an Alexa Skill! Look up Apple Crider on the Alexa Store! P.P.S Don't forget to leave a 5-star review if you enjoyed the show! #026: Today I have the pleasure of talking with Jason Reposa, CEO and founder of MyBankTracker, a website designed to teach people about money. In this episode, Jason brings a ton of value through his story of riding to the top and falling back down through the Dot Com Bubble and working his way back up through starting MyBankTracker. If you are someone interested in starting your own online business, there is a ton of value to be had from this conversation. Enjoy! Find Jason on Instagram --> @MyBankTracker Learn more about MyBankTracker --> MyBankTracker.com Want to learn how to start your own SMMA? I created a free training to get you started! --> www.go.AppleCrider.com/smm Follow me on Instagram --> @AppleCriderOfficial For 250+ videos subscribe to my YouTube channel --> YouTube.com/AppleCrider P.S. I have an Alexa Skill! Look up Apple Crider on the Alexa Store! P.P.S Don't forget to leave a 5-star review if you enjoyed the show! STOP BUYING SHOUTOUTS. So many people that are starting out on Instagram think that all they have to do to grow their account is buy shoutouts. This is not the case and can end up being a huge wast of money. Today we are talking about the better option for growing your Instagram account and where you should be devoting your time and money. By the end of this episode you will be more confident in your ability to grow your Instagram and avoid some of the mistakes that I made starting out. Want to learn how to start your own SMMA? I created a free training to get you started! --> www.go.AppleCrider.com/smm Follow me on Instagram --> @AppleCriderOfficial For 250+ videos subscribe to my YouTube channel --> YouTube.com/AppleCrider P.S. I have an Alexa Skill! Look up Apple Crider on the Alexa Store! P.P.S Don't forget to leave a 5-star review if you enjoyed the show! #025: Janel Anderson is a successful entrepreneur that has grown her company Working Conversations to a level that allows her to speak in front of thousands, write a book, and appear on live TV many times. And she's my mom. Today we are examining the entrepreneurial path that led my mom to going out on her own and creating a business from the ground up. By the end of this episode you will know more that I do about the path that brought my mom to starting her own business and the steps that you can take to become a successful entrepreneur. Enjoy! Follow my Mom on Instagram --> @Janel.Anderson.Phd Want to learn more about my Mom's business? --> WorkingConversations.com Want to learn how to start your own SMMA? I created a free training to get you started! --> www.go.AppleCrider.com/smm Follow me on Instagram --> @AppleCriderOfficial For 250+ videos subscribe to my YouTube channel --> YouTube.com/AppleCrider P.S. I have an Alexa Skill! Look up Apple Crider on the Alexa Store! P.P.S Don't forget to leave a 5-star review if you enjoyed the show! Today I am breaking down the 4 tools that you need to start a social media management agency or a social media marketing agency. These tools are essential for anyone who is trying to run any kind of online business, and any kind of social media business in particular. If you are trying to start your own SMMA, shoot me a DM with your questions and I would love to help you get started! Want to learn how to start your own SMMA? I created a free training to get you started! --> go.AppleCrider.com/smm Follow me on Instagram --> @AppleCriderOfficial For 250+ videos subscribe to my YouTube channel --> YouTube.com/AppleCrider P.S. I have an Alexa Skill! Look up Apple Crider on the Alexa Store! P.P.S Don't forget to leave a review if you enjoyed the show! #024: Today I have the pleasure of talking with Holly Morphew, CEO and founder of Financial Impact. Holly is a financial coach that works with people to simplify their money and allow them to work towards financial freedom. In this episode Holly guides us down the path towards financial freedom and shares with us how she was able to achieve financial freedom at such a young age. Enjoy! Connect with Holly! --> https://www.financialimpact.com/about-holly/ Want to learn how to start your own SMMA? I created a free training to get you started! --> www.go.AppleCrider.com/smm Follow me on Instagram --> @AppleCriderOfficial For 250+ videos subscribe to my YouTube channel --> YouTube.com/AppleCrider P.S. I have an Alexa Skill! Look up Apple Crider on the Alexa Store! P.P.S Don't forget to leave a 5-star review if you enjoyed the show! Today I will be showing you the 5 best lead magnets to grow your email list. An email list is an invaluable asset for all online businesses because it allows you to communicate directly with prospects in a much more personal way than you are able to do on social media. Follow me on Instagram --> @AppleCriderOfficial For 250+ videos subscribe to my YouTube channel --> YouTube.com/AppleCrider P.S. I have an Alexa Skill! Look up Apple Crider on the Alexa Store! BONUS: Primary Tradelines: Are They Legal? Do They Work? Show #2 of Young Smart Money! 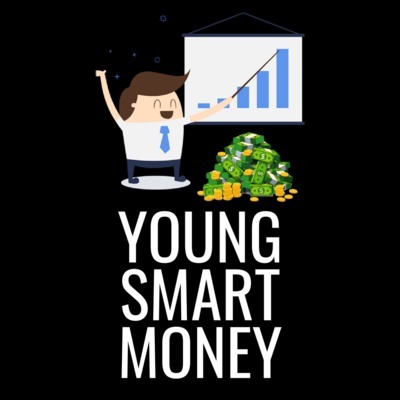 Young Smart Money is a show for college students, high school students, and anyone else under the age of 30 that wants to better themselves financially. In every episode we will be breaking down topics like credit scores, starting a business in college, and growing your net worth. This show will serve as a full on credit score crash course! We will be covering all the way from what a credit score is and what it is actually used for, to easy actionable tips that you can implement to start increasing your credit score today! My name is Apple Crider, I am 19 years old, and I have a passion. Providing financial information to young people that the school system deems "not a priority", but that will severely handicap your future if you operate out of ignorance. In order to spread this message, I create daily Youtube videos (AppleCrider.com/subscribe), this weekly podcast (AppleCrider.com/podcast), and live workshops (AppleCrider.com/events).